We gladly solve the difficult, the easy can others take care of. We combine experience, a global industrial network and years of experience in software development with in-depth knowledge of computer operations and the latest available technologies in order to penetrate, analyze, and then solve what others consider to be "problems". For our customers, this results in concrete, immediate, standardized and cost-effective software solutions. 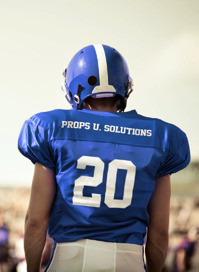 From Props you buy a combat-proven solution rather than building your own software. 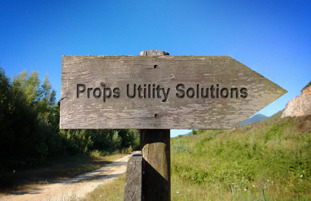 When you enter into a business relationship with Props you obtain a standardized system that is completely implemented and that targets to address the actual problem to be solved. But, moreover it launches a partnership with a highly competent supplier that the de facto is one of the world's best at solving business problems surrounding the handling, analysis and modification of critical business data. When performing installations around the world staff from Props have delivered solutions in a large number of variants solving all the different problems encountered when Buyer has an business activity based around "collected data". This means that we always have an immediate solution to present! Normally a delivery starts by the customer describing a business problem to be solved. This can include for example, billing, advanced integration, automatic change of supplier, to gain control over their own equipment and meters, the need for advanced management of hourly and measured values, etc. 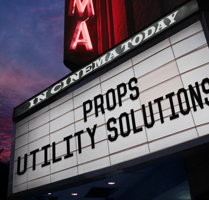 Props always immediately presents, on the spot, an attractive solution proposals, a timetable and a fixed-price on the total solution. When the project starts, the staff from Props is total responsibility for ensuring that communication with all involved parties works without problems (eg company responsible for the involved systems that are already installed at the buyer's premises). On delivery systems from Props are completely set up and configured, and the buyer just has to "turn the key". Any future changes and configurations can usually be performed by buyer's own staff via parameter settings.